WhoChat? - Discover Anyone is social media app that helps you to recognize the person that you don’t remember by means of using their photos. That person can be a random person living nearby or a singer, politician, actor or dancer or any other. Now if you are curious to know about someone or you need information about them simply upload their picture and you will surely found some useful information about them in the shortest possible time. Compact design and handy to use. 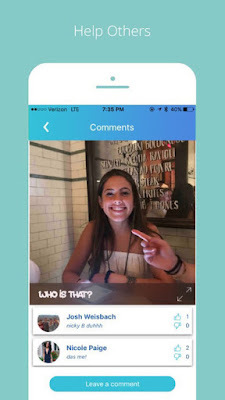 Categories: App, Discover Anyone, iOS, social networking, WhoChat?